This was the top news story last night. I am thinking that since she is from Ohio that she will bring a National Championship to Aggieland. 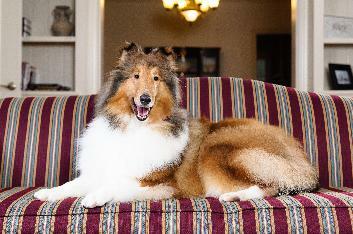 COLLEGE STATION – Texas A&M University’s mascot-in-waiting has been selected—a female collie, in keeping with the university’s decades-old tradition—and is scheduled to assume her role May 9 as Reveille IX. 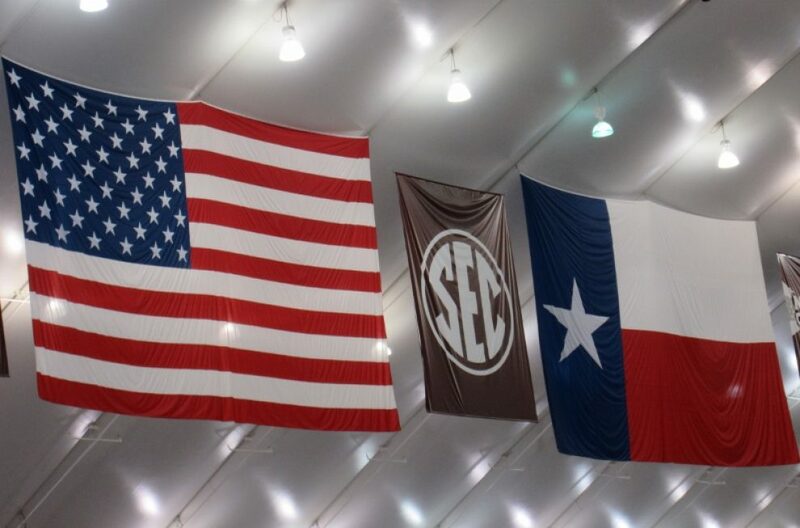 In the meantime, she will have the opportunity to get accustomed to the campus and get acquainted with Rev VIII, who is completing her seventh year at endearing herself to thousands of Aggies and others. Rev VIII is set to retire to the Stevenson Companion Animal Life-Care Center operated by Texas A&M’s College of Veterinary Medicine and Biomedical Sciences, where she will continue to receive special care. The soon-to-be Rev IX has been donated by Overland Collies, a highly respected kennel in the collie-breeding world, headquartered in Chagrin Falls, Ohio, a Cleveland suburb. The establishment’s owners, Marcy and Mike Fine, are well-known in the collie community and are typically well-represented among finalists at the annual Collie Nationals. Selection of the 16-month-old medium-sized collie was recommended by a 12-member committee of students, faculty and staff to Interim President Mark A. Hussey, who concurred. Hussey’s decision concluded a seven-month national search in which more than 15 applications from across the nation, including collie breeders and collie rescue shelters, were considered. The pool was eventually narrowed to four finalists. Tom Reber, interim vice president for student affairs, chaired the search committee. Texas A&M’s mascot-to-be will be formally named Reveille IX at the Corps of Cadets “Final Review,” the May 9 ceremony held in conjunction with the university’s spring commencement ceremonies. She’s a beauty!!! I’m sure she will serve A & M well.